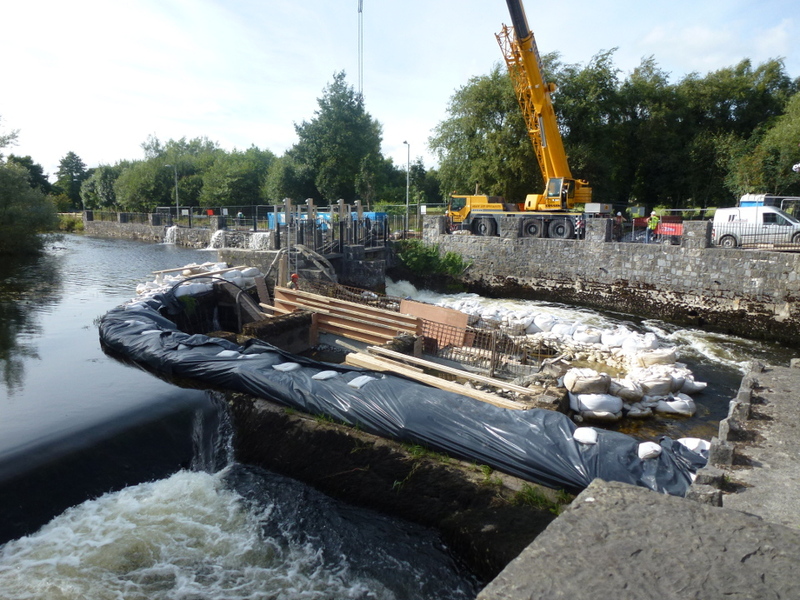 New fish pass at Ennis – enough to mitigate for integrity level damage to SAC? 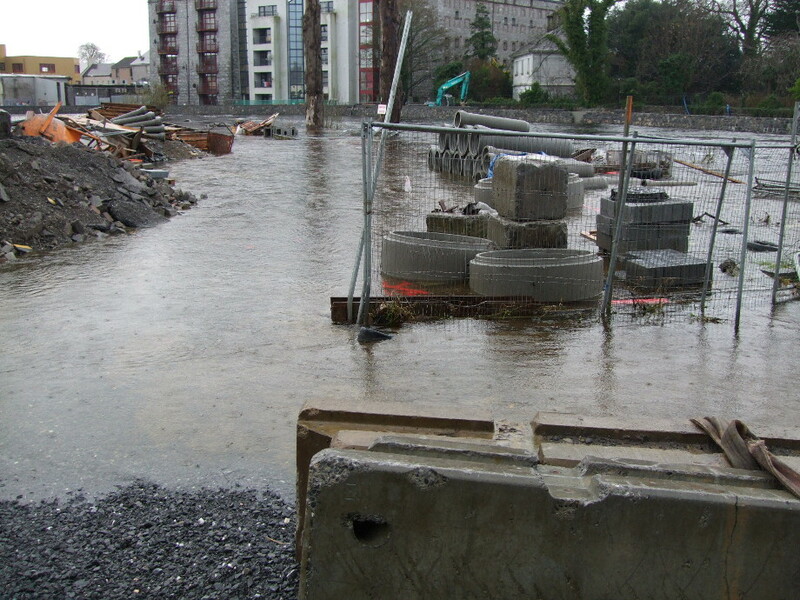 The River Fergus Ennis (Upper) Drainage Scheme was constructed during the period April 2008 to mid-2010. This scheme is located within the Lower River Shannon candidate Special Area of Conservation (cSAC). 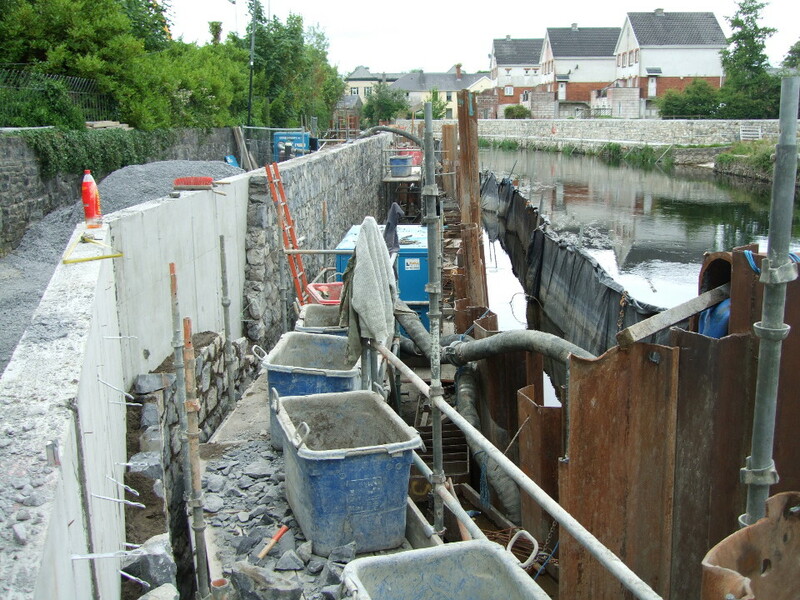 Phase II of this scheme is currently under construction – The River Fergus Ennis (Lower) Drainage Scheme. This scheme is also located within the cSAC. The key qualifying interests of the Lower River Shannon cSAC within the area of these two schemes include the following species – all of which occur within the footprint of these schemes; Sea lamprey Petromyzon marinus , Brook lamprey Lampetra planeri , River lamprey Lampetra fluviatilis , Atlantic Salmon Salmo salar  and Otter Lutra lutra . It was claimed in the EIS for this scheme that there would be no instream works. From this photograph it is clear that this was untrue. 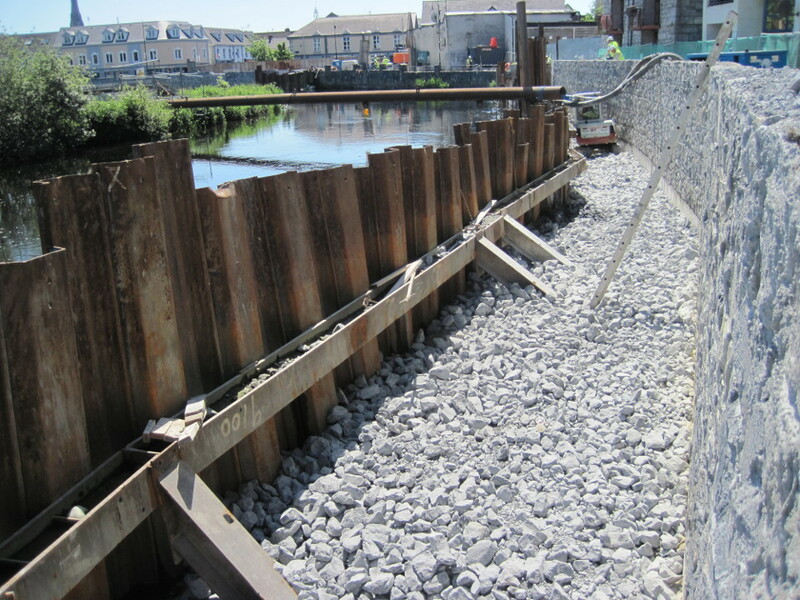 Total loss of lateral silt deposits and associated lamprey nursery habitats behind and under the sheet piling during the construction of the Ennis upper scheme. Lamprey habitats were then backfilled with a deep layer of stone and will never recover. The EIS said that there would be “no instream works” – clearly this was misleading as there was extensive instream works and destruction of lamprey habitats. These works are all within the Lower River Shannon cSAC which is designated for lampreys. The following habitats are also present; Water courses of plain to montane levels with the Ranunculion fluitantis and Callitricho-Batrachion vegetation , and Alluvial forests with Alnus glutinosa and Fraxinus excelsior (Alno-Padion, Alnion incanae, Salicion albae) [91E0]. Atlantic salmon, Sea lamprey, River lamprey and Brook lamprey all spawn within the footprint of these schemes. Sea and river lamprey populations in the River Fergus only spawn within the footprint of these schemes as they have been confined to this the lower reaches of this river since the construction of a mill weir in the lower reaches of the River Fergus in the 18th Century. The Annex I habitat floating river vegetation  occurs throughout the lower River Fergus, while alluvial woodland [91E0] occurs in some areas along the lower scheme footprint. The current article however mainly concerns itself with the Annex II listed species sea lamprey and river lampreys as these have been significantly impacted on by the Ennis flood schemes. The floating river vegetation has also been lost from the study area. Although the River Fergus is included in the Lower River Shannon cSAC, no Natura Impact Statement (Appropriate Assessment) was prepared for the upper scheme. The Environmental Impact Statement (EIS) for the upper scheme prepared by / on behalf of the Office of Public Works (OPW) claimed (as with the Clonmel scheme in the River Suir cSAC), that there would be no instream works; although such works were extensive on both schemes. The EIS for the upper scheme also failed to identify the potential for any significant effects on sea lampreys or river lampreys and no species-specific mitigation was provided for theses species – contrary to the requirements of the EU Habitats Directive. Significant integrity level impacts on both of these species have occurred, and this failure to meet the requirements of the Habitats Directive is worthy of a formal complaint to the EU Commission. Irish anadromous lampreys are understood to be an international panmixic population and it is very unfair on other European states that lampreys entering Irish rivers are subjected to profound impacts. Rescuing lampreys trapped behind the piling works. Almost 100 ripe river lampreys were removed from this stretch of river on this day. Sea lampreys are currently at unfavourable conservation status in Ireland. Because of identification difficulties, river lampreys and brook lampreys are grouped together in the national conservation assessments. However, it is clear that anadromous river lampreys are subject to all the same pressures as sea lampreys and are also likely to be at unfavourable conservation status. Both sea and river lampreys are vulnerable as both species are poor swimmers and climbers and are therefore often confined to the lower reaches of rivers where they occur below weirs and other obstacles. River lampreys are smaller than sea lampreys and much less capable of passing obstacles. Indeed they are even unable to pass barriers such as crump weir salmon counters that Inland Fisheries Ireland is installing on most of our salmon rivers (where they can get away without planning permission). It is clear that river lampreys will be even more vulnerable than sea lamprey, and they should also be listed as being at unfavourable conservation status in Ireland following the precautionary principal. 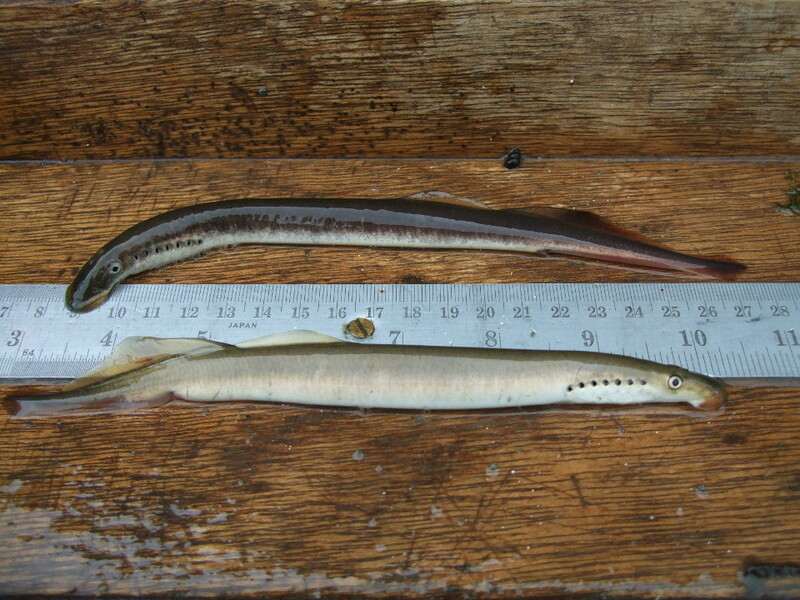 Brook lampreys are non-migratory and are widely distributed in Ireland. It is clear that this species is at favourable conservation status and it is not discussed further in this article, even though they were also affected here. Sea lampreys and River lampreys only spawn in the River Fergus in the footprint of these flood schemes, and their only current nursery areas are also within the footprint of these flood schemes. Following hatching, larvae of both species drift downstream and settle in silt deposits at the sides of rivers, within the footprint of the Ennis flood schemes, for several years. On the River Fergus these silt depositions were lost within the entire footprint of the scheme as a result of piling and flood wall construction, despite these species supposedly having protection within the Lower River Shannon cSAC, and despite the EIS claiming that there would be no instream works. Two of almost 100 ripe river lampreys rescued from behind the piling in one day alone. Severe disruption to spawning lampreys occurred over two years. Both Sea lampreys and River lampreys were very vulnerable to the Ennis schemes and in the end were severely impact on – although this was not identified as even a potential impact in the EIS. The loss or reduction of numbers of either of these species or their habitats in the Lower River Fergus would constitute an integrity level impact on the Lower Shannon cSAC. However, this impact – or indeed even the potential of this impact – was not identified in the EIS, which claimed that there would be no instream works. This EIS was prepared for and signed off by the OPW who were both the proponents and competent authority for the scheme (i.e. they prepared their own documents and granted themselves planning permission). Apparently, they did this without any initial interference from our state regulators, including the National Parks and Wildlife Service (NPWS) and Inland Fisheries Ireland (IFI), the latter who have charged themselves with responsibility for the protection and management of lamprey species in Ireland and continue to fail to act accordingly on the Ennis lamprey issue in our opinion. Sea lampreys spawning during the construction works within the SAC. This animals should have been protected but they were not. When the River Fergus Ennis (Upper) Drainage Scheme commenced construction in the early summer of 2008 it was realised that (1) there would in fact be major instream works, and (2) that the footprint of the works was a highly sensitive area in relation to both sea lampreys and river lampreys supposedly protected within the Lower Shannon cSAC. 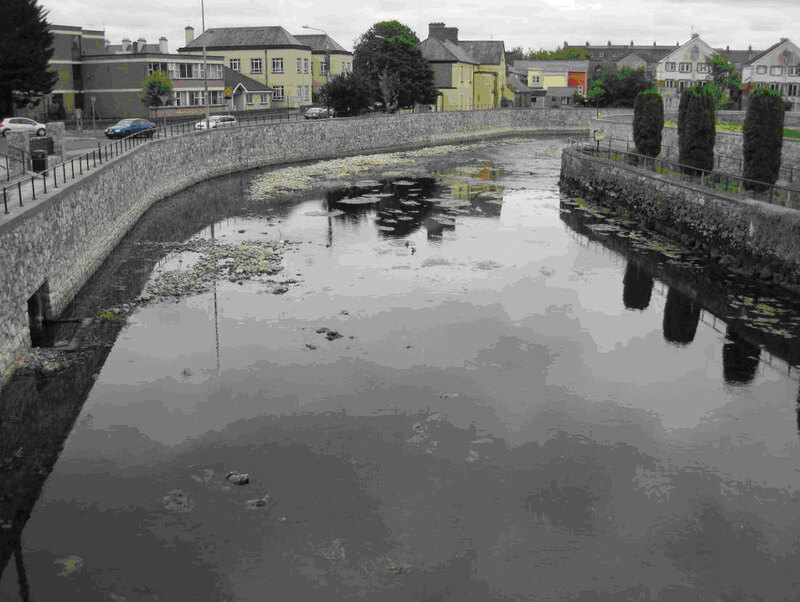 However, construction works had already commenced at this stage and set against the background of the risk of flooding to Ennis town the scheme had to move forward. To their credit, NPWS intervened at this stage, and in an attempt to mitigate the impacts site ecologists were engaged to monitor the project. However, monitoring is really just monitoring and is not in itself a mitigation measure. The monitoring did however document the extensive damage to lampreys and their habitats that ensued over the next two years. The appointed ecologists were working directly for the contractor on this scheme, and the contractor paid their fees directly. However, despite this the ecologists stopped work on numerous occasions and proposed alternative approaches and timing of works to the anger of the main contractor (who threatened the ecologists with legal action for slowing the works on one occasion). 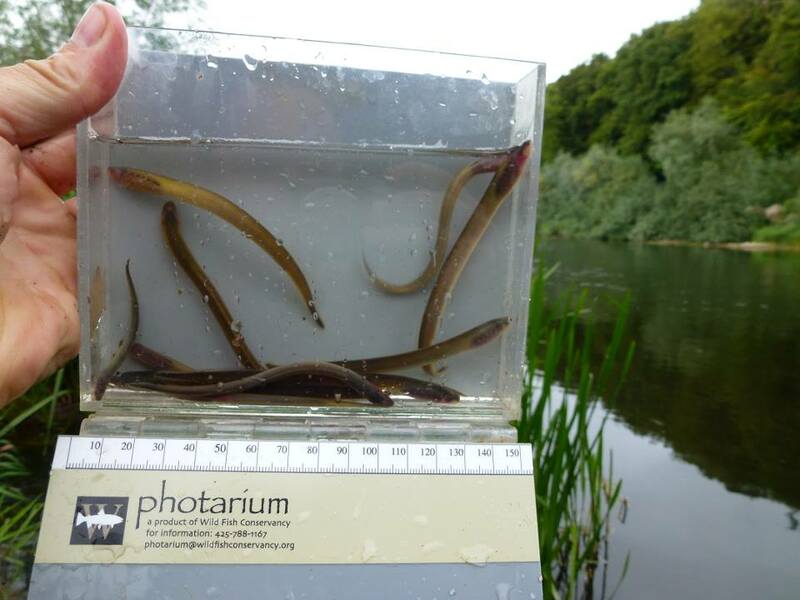 Inland Fisheries Ireland never raised any issues regarding lampreys, although also paid to be on-site, and regularly undermined the advice being given by the site ecologists. However it was not possible to change designs and the scheme was built with the profound loss of all the lamprey nursery habitats within the footprint of the scheme. Severe disruption of lamprey spawning (all three species) over two spawning seasons also occurred. Lamprey spawning habitats were also severely impacted on with piling across half the river at any time, causing gravels to move and change position with unquantified effects on lamprey spawning success. There is no doubt in our opinion that the overall scheme had an integrity level impact on the Lower Shannon SAC. Inland Fisheries Ireland staff were also paid to be on site, and never raised any issues in relation to lampreys. During the second year of the scheme the works were so disruptive to spawning lampreys, with ripe lampreys getting trapped behind piling along with significant suspended solids pollution and other disturbances, that the National Park and Wildlife Service (NPWS) were again alerted by the site ecologists. In one incident just under 100 ripe adult river lampreys were trapped behind piling and had to be rescued (using electrofishing). This was understood to be a significant proportion of all the spawners that migrated into the River Fergus this year. As these lampreys may have been the produced in other European Rivers (due to panmixia), Ireland had an obligation to protect them. 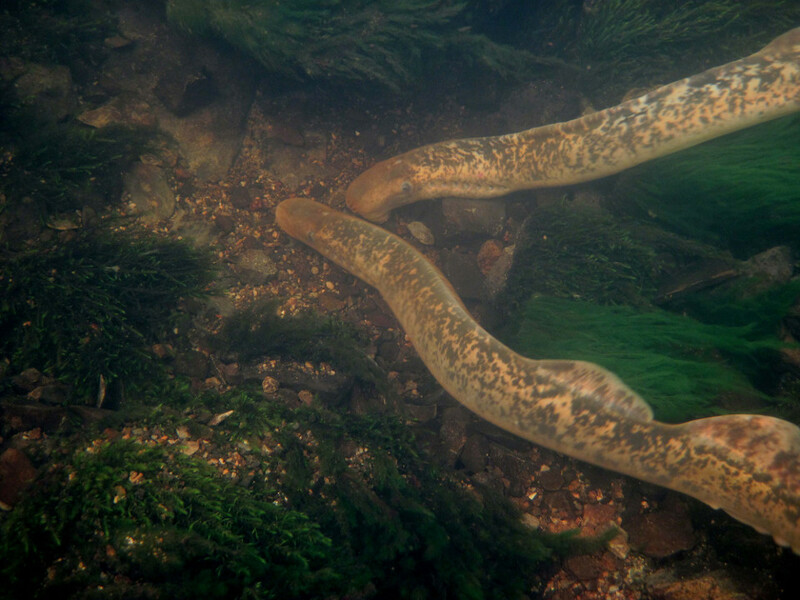 Likewise these lampreys had entered a Natura 2000 site where they were listed as key conservation interests, and in our opinion deserved much more than they got from the OPW and the state regulators Inland Fisheries Ireland. New Larinier pass – no evidence at this stage that this can be used by river lampreys. Any fish pass here should have been assessed under Article 6(4). After being subjected to electrofishing to remove them from behind the piling, the river lampreys (shedding ova) were returned to a river that was being encroached on by piling and being subjected to other major direct and indirect disturbances such as suspended solids and oil pollution. NPWS appreciated the scale and significance of the impacts and requested for works in the river to be immediately stopped due to the scale of the disturbances that were being recorded by the site ecologists. An agreement was however quickly reached between the OPW, NPWS and IFI that a new fish and lamprey pass – proposed by the site ecologists – would be installed on the impassable weir at the top of the scheme area. A letter signed by OPW committing to providing this pass was given to NPWS to allow their restrictions on instream works to be lifted. The purpose of this new fish and lamprey pass would be to provide a compensatory mitigation measure to offset the significant and unmitigated damage that was caused to lampreys by the two year construction of the flood scheme. With the prospect of a new fish and lamprey pass allowing the range of both Sea lampreys and River lampreys to increase in the future, works were allowed to continue to completion by NPWS. However, at this stage the project was clearly in breach of the Habitats Directive as such compensatory mitigation, like the new fish and lamprey pass, can only be prescribed, with agreement of the EU Commission under Article 6(4) of the Habitats Directive. There was also to be reinstatement of the lost lamprey habitats, but this has apparently long since been forgotten. Some months later, the site ecologists at the time were then engaged by the OPW’s representatives to assist in designing the new fish and lamprey pass. This was done as part of the EIS and Appropriate Assessment for the new lower section of the scheme. The plan was to include a new fish and lamprey pass as part of the River Fergus (Lower) Drainage scheme, rather than the upper scheme, for budgetary reasons. 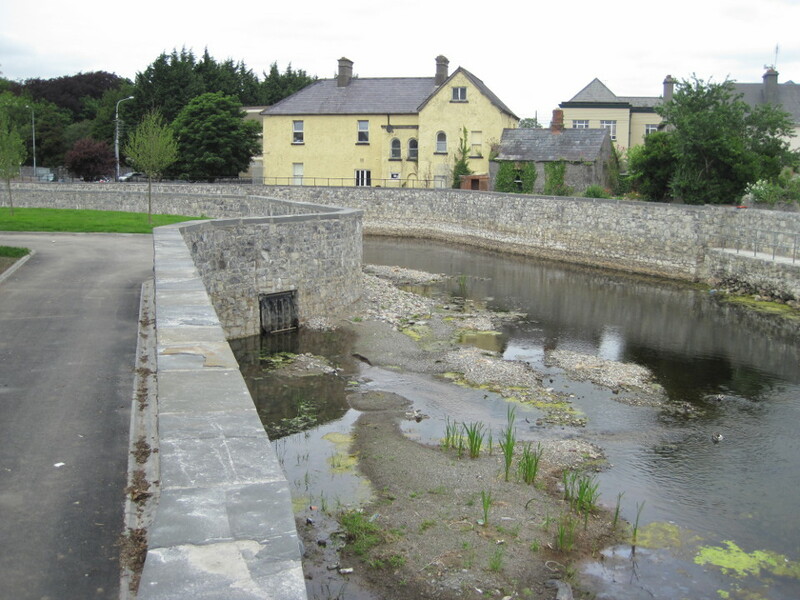 At this stage the challenges of designing a pass that would cater for the target fish and lamprey species, within the constraints for the site set by the OPW and Ennis Town Council, became apparent. Also with instream works again proposed for the lower scheme the ecologists concluded that there would be a further integrity level impact on the Lower River Shannon cSAC and that additional design stage mitigation was required. Rather than do this and develop the plans for the fish and lamprey pass along with other instream habitat restoration measures, the OPW’s representatives (tiring of lampreys issue, keen to get the job started while under the shadow of the recession and a subsequent liquidation), dismissed the site ecologists (who had been working on the scheme for the past two years) and appointed new consultant ecologists. Incredibly, these new ecologists simply changed the front cover and conclusions of the previous reports prepared by the redundant ecologists to allow a favourable outcome (Note: we have documents that show this, along with email correspondence from NPWS that supports this view). The new ‘amended’ Ecological Impact Statement and Natura Impact Statement reports were then submitted to NPWS for approval. This apparently cynical move by the OPW and the apparent unprofessional mercenary plagiarism by the new consultants inevitably brought the project down when NPWS realised what had happened, and with the recession taking hold the project was temporarily suspended as far as we understand. River Fergus habitats left devastated after invasive flood scheme; all juvenile habitats removed and spawning habitats also severely impacted on. 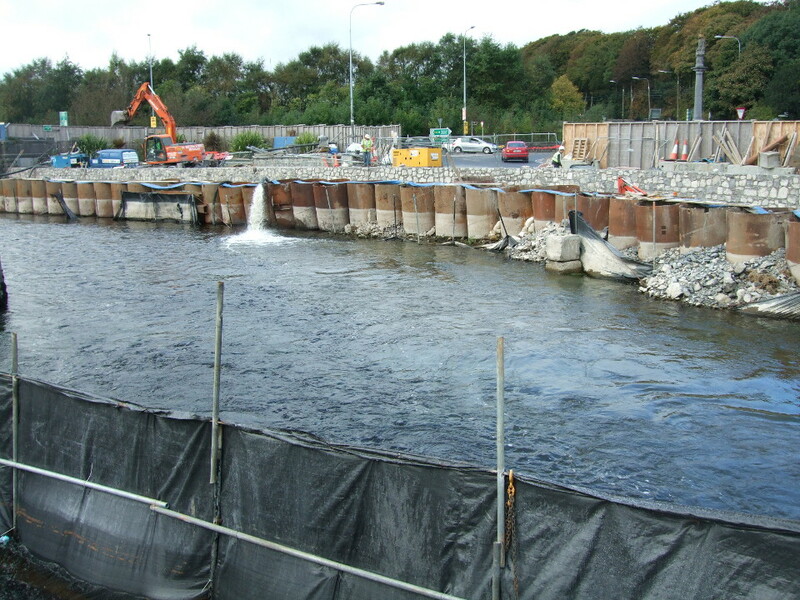 After the Ennis flood scheme – lamprey spawning habitats were also severely affected. Following the implementation of the Planning and Development Regulations (2010) the OPW could no longer be the competent authority on their own project (i.e. award themselves planning permission as they had enjoyed previous to this). However, this hurdle did not seem to prove to be any significant challenge and a new planning application for the River Fergus Ennis (Lower) Drainage scheme was quietly submitted to An Bord Pleanála in 2011 and granted permission in 2012. A careful strategy was appears to have been taken with this application to ensure that the EIS and Appropriate Assessment reporting were not easily available to any critics as far as we can see. This would seem to be the case to us, as even to this day there is barely a trace of any details of this scheme on the internet. The proposal included for a new fish pass, but even to date no details, design, or assessment of the new fish passes suitability for the scheme are available through any on-line source. Construction work on the lower scheme went ahead in 2013, and the fish pass went to construction during the summer of 2013. The new replacement ecologists were engaged to ‘monitor’ the works. 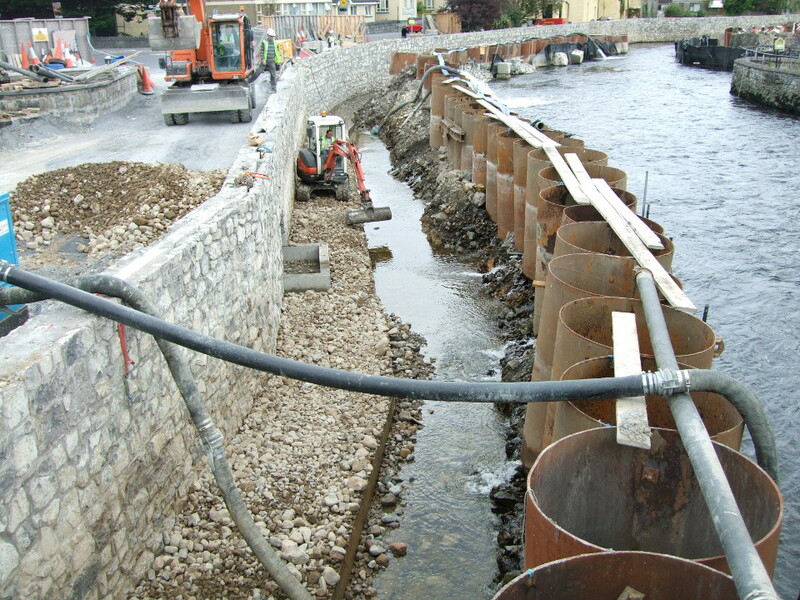 The fish pass is currently under construction at Ennis and it is clear that this is a Larinier type baffle pass. The pass will be clearly better that the pool pass that it replaces for Atlantic salmon (hopefully). It is also likely that sea lampreys will be able to use it, which is also very good. However, what about the other species (key conservation interest) that was significantly impacted on the by the flood schemes – River lamprey? This pass may well be of no use to this species, and at the time of writing this article there is no information to show that River lampreys will be able to use this pass. It is also likely that under much of the hydrograph this weir will also remain impassable to Sea lampreys, as there is a variable water head at this site (so there could potentially be problems for salmonids also). Following on from OPW fish pass failures such as Lacken Weir (Kilkenny Flood Scheme) it is disappointing that another fish pass may not be suitable for a target fish species. This fish pass is may well be no assistance whatsoever to River lampreys and the suitability of Larinier passes for this species has not been shown to date. Any adaptations such as plates included in the design cannot be used by Irish lamprey species (they only work for Pacific lampreys). As river lamprey habitats continue to be removed during construction works on the lower scheme it is clear that ongoing integrity level impacts are still occurring – without any long-term benefits to river lampreys in the cSAC. Likewise with all their juvenile nursery habitats removed and disruption to spawning with instream works over multiple spawning seasons there has also been an integrity level impact on sea lampreys and this will be ongoing during construction works which will extend into 2014. Even if the new fish pass works to some degree for lampreys, you cannot under the EU Habitats Directive provide a mitigation measure for an integrity level impact without invoking Article 6(4) of the directive and getting permission from the EU Commission to do the same. What has happened in Ennis, in our informed opinion, both in terms of poor scheme design in relation to ecology, apparent failure to take the requirements of the Habitat Directive into account, the apparent secrecy during planning applications, the apparent shameless mercenary plagiarism and/or incompetence from the replacement ecologists seemingly rewarded with ongoing monitoring contracts, and poor regulatory checks by Inland Fisheries Ireland is a national disgrace and worthy the formal compliant to the EU Commission? It is also noteworthy that the River Fergus is not usual in its treatment by the OPW during the construction of flood schemes, with Fermoy and Mallow on the River Blackwater cSAC, Fermoy on the River Suir cSAC, Kilkenny on the River Nore cSAC and the River Bandon scheme are all worthy of similar comments in relation to impacts on lampreys and other conservation interests. The Clonmel scheme is actually located beside one of Inland Fisheries Ireland’s regional offices – did they notice the extensive instream works that the EIS said would not occur? One question that arises again in all the above is who is actually protecting lampreys in Ireland? 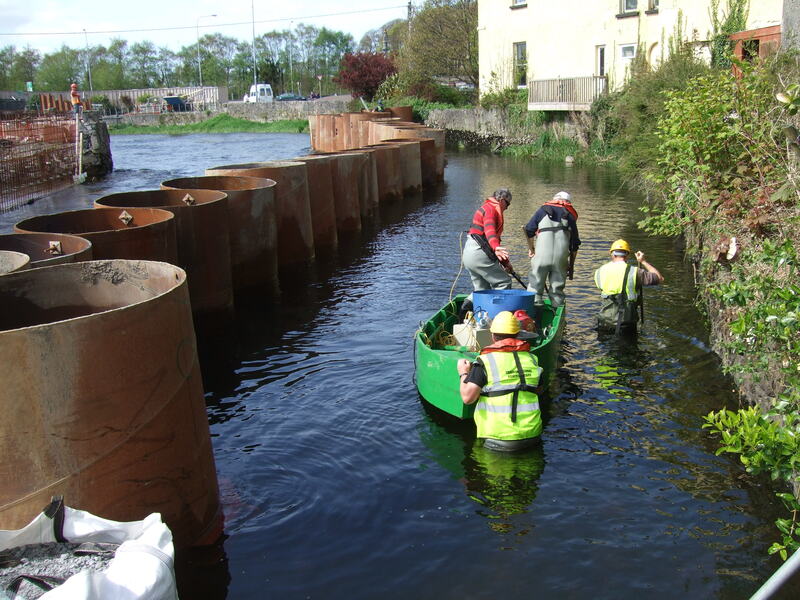 Instream works and destruction of juvenile lamprey habitats within the Lower River Shannon cSAC. Time for a complaint to the EU Commission? Although sea lampreys seem to exhibit panmixia or at least regional panmixia (studies indicate that anadromous sea lampreys locate spawning habitat based on pheromonal cues from larval conspecifics rather than through philopatry), it is clear that if there are no juveniles present in a river the adults may stop coming to this particular river to spawn due to the absence of these ammocoete pheromonal cues. River lampreys have more limited dispersal at sea when compared to sea lampreys and may well be, as Pacific lampreys seem to be, neither philopatric nor panmictic*. Either way, a reduction in the presence of juvenile conspecifics will in turn be expected to reduce the numbers of adults entering the affected river to spawn, which will again in turn reduce the numbers of juveniles probably inevitably resulting in the extinction of the species from the river in question. It is noted also that there is still some uncertainly about the homing behaviour or otherwise of Irish lampreys species since no research in relation to this topic on Irish lampreys species has been undertaken. Either way the bottom line here is that loss of juveniles and their habitats can be expected to affect recruitment and adult runs one way or another as lampreys would no longer see the Fergus as a ‘suitable river’ to complete their life cycle in if juveniles numbers were significantly depleted. For favourable conservation status it is advisable, and required under the Habitats Directive, to protect juveniles lampreys and their habitats. The OPW failed to do this on their Ennis (and Clonmel and other) Flood Schemes. All juvenile lampreys habitats present within the footprint of the Ennis (upper) scheme were lost during construction works, within a Special Area of Conservation designated for lampreys. This is a national disgrace and deserves punishment from the EU. 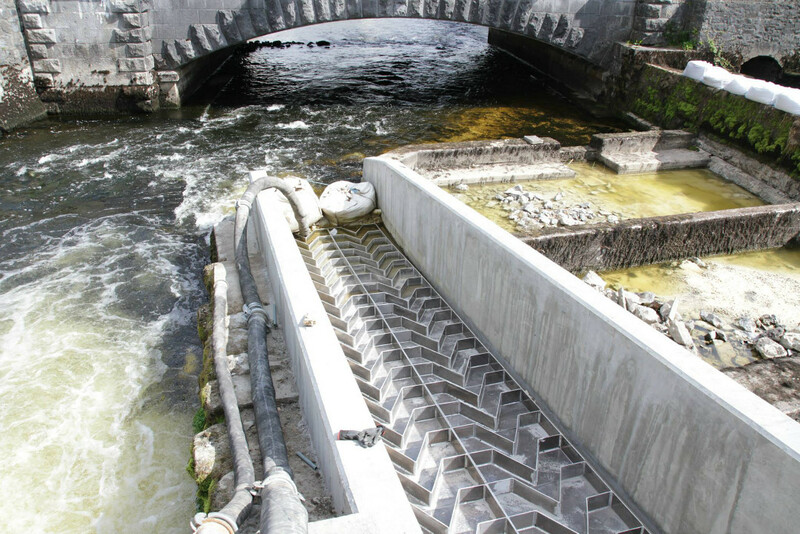 The new fish pass being built at Ennis falls well short of what is necessary to compensate for the damage done to lampreys in this part of the Lower River Shannon cSAC, in our opinion. Lamprey ammocoetes – thought to release hormones to communicate with adults at sea to say “this is a suitable river to spawn in“. Loss of juvenile lampreys and their habitats can result in the loss of migrating adults. See “The case for the River Lamprey” here. Previous Jamestown Weir – a salmon beat of the future? Next Is angling a threat to salmon recovery on the Shannon?